Mike Duggan originally was part of a clandestine effort to find an alternative Democratic candidate for governor in Michigan, a month before he endorsed Gretchen Whitmer last February. Some sensed he wasn't in 100 percent. So, Detroit News columnist Bankole Thompson finds it curious that Detroit's mayor wouild be rewarded by having his 29-year-old son Edward named as director of external affairs for Whitmer's transition team. The email, which contained links to how people can be involved with the future Whitmer administration as the January inauguration nears, named the mayor’s son, Ed Duggan, as the director of external affairs for the transition team and urged all questions be directed to him. The email immediately raised eyebrows from several people who were copied on it. Some of them were baffled because they believe the mayor hasn’t been that supportive of Whitmer’s campaign and are very worried that the latest appointment would be publicly viewed as nothing but a reward. In fact, one supporter of Whitmer who is a member of the leadership group sent me a message headlined “Duggan-controlled,” a reference to the son’s appointment. The younger Duggan didn’t return two messages left on the number provided by the Whitmer camp. “That’s a pretty significant position. It is a trusted position. It means they trust you enough to be the guy, the go-between in the community,” veteran Detroit political consultant Eddie McDonald told me. The younger Duggan graduated from Michigan State in 2010 and added a University of Detreoit Mercy law degree three years later. 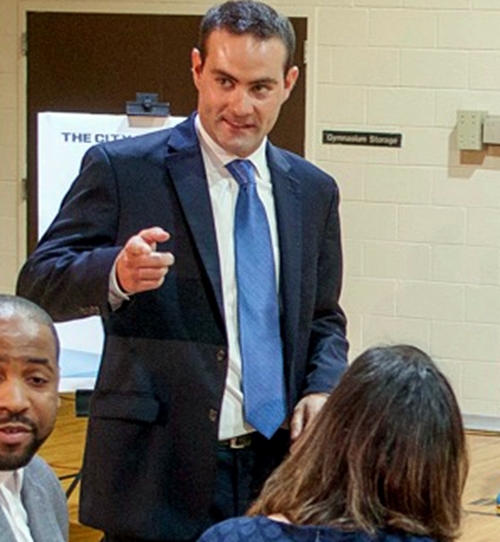 He led Grow Detroit’s Young Talent, the city’s summer jobs program, from 2015-17.